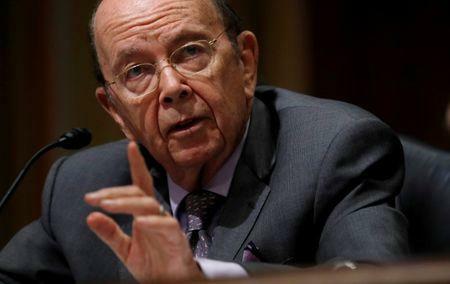 WASHINGTON (Reuters) - U.S. Commerce Secretary Wilbur Ross on Thursday admitted ethical lapses in reporting on his financial assets and said he would sell all of his remaining stocks after a federal ethics agency warned of the "potential for a serious criminal violation." On Thursday, Ross said in a statement: "I have made inadvertent errors in completing the divestitures required by my ethics agreement." "To maintain the public trust, I have directed that all of my equity holdings be sold and the proceeds placed in U.S. Treasury securities," he said. "However, your failure to divest created the potential for a serious criminal violation on your part and undermined public confidence," it said. The OGE noted "various omissions and inaccurate statements" in disclosure and compliance documents submitted in the past year. "You also opened new short positions on various holdings that you committed to divesting in your Ethics Agreement, in contravention of that agreement," the OGE letter said.